Yay! I have winners to announce! Thanks so much to everyone who entered this fun giveaway and especially to anyone who shared it with family and friends. Carol, whose family tradition – handed down from her grandmother to her mom to her – is to make plenty of holiday cookies and to give these as gifts. Aline, who likes to sing carols with her children and make a gingerbread house and enjoy the treats in an advent calendar. This is one of my kid’s favorite holiday traditions. I picked up a fabric Advent Calendar five or six years ago which we use every year. It saves a little on buying a calendar every year. Melissa, who is a fan of making gingerbread houses. Tina, who makes me feel very humble because she makes Christmas stockings and an ornament with her children every year. You go girl! Phoebe, who loves spending Christmas Eve with an extended group of friends and family and enjoys the way this teaches her children that good friends can be “good family”. Since my husband and I are expats, my children have come to learn that this is true too. Thanks to Zebra Mix and Putumayo for the gifts they generously supplied. 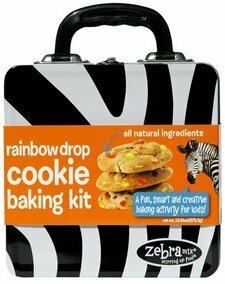 Winners, you can expect an email from me asking for your mailing address so we can get those fun cookie-making kits in the mail in time for the holiday. If you didn’t win, here’s a chance for you to possibly win in a different way. I’m a co-founder of the Passports with Purpose online fund-raising initiative. Every $10 donated through this effort does two things: firstly, the money goes directly to AAfC to fund building much-needed schools in Cambodia; secondly, each donation gives the donor an entry into a free prize drawing for any of a list of excellent prizes (you can see the full list here). Here’s my offer: I will match donations to this worthy cause up to $200. If you donate $10, leave a comment below to let me know you did and I will match your donation so that you double your chances of winning the prize you chose. 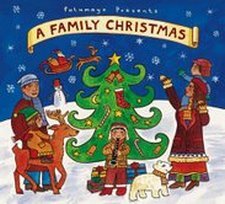 This entry was posted in Giveaways and tagged Christmas music, Putumayo Kids, Zebra Mix on December 14, 2009 by wandermom.